Walk into a baby store, and you’re bombarded with all the latest market-hitting gadgets and gizmos; you immediately see dollar signs. Lots of retailers try to convince you of the necessity of having the best educational toys beginning at birth. Pinterest photos indoctrinate you into the belief that the nursery must be perfectly decorated and all things are necessities for your nursery. 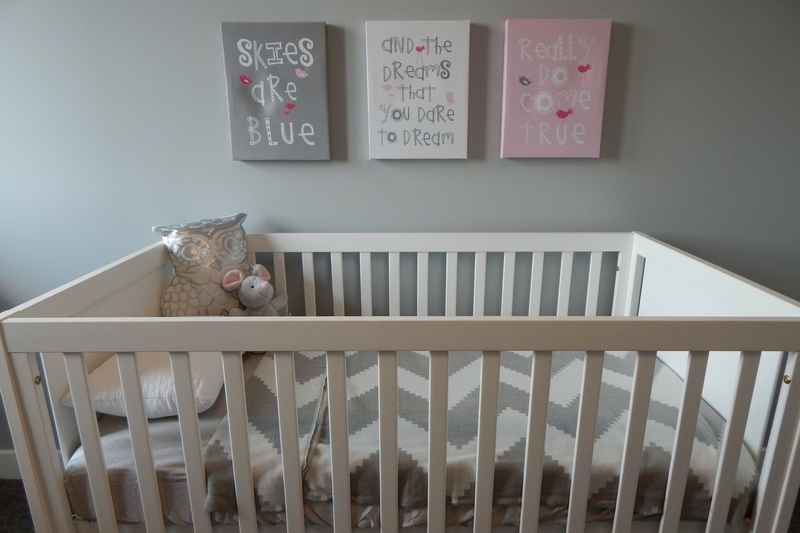 Next thing you know, you’re losing sleep not only because you’re in your last trimester; you’re wondering how you’re going to prepare a nursery for the sweet one’s arrival. Remember, for at least the first three months, Baby is going to do four things: 1) eat; 2) sleep; 3) empty bladder and bowels; and 4) cry in an attempt to communicate his or her needs from 1, 2, or 3. Truth is, the best thing you can give Baby in its first three months is love and attention. Your infant won’t know the color of the room or the amount of toys sitting in the nearby basket. 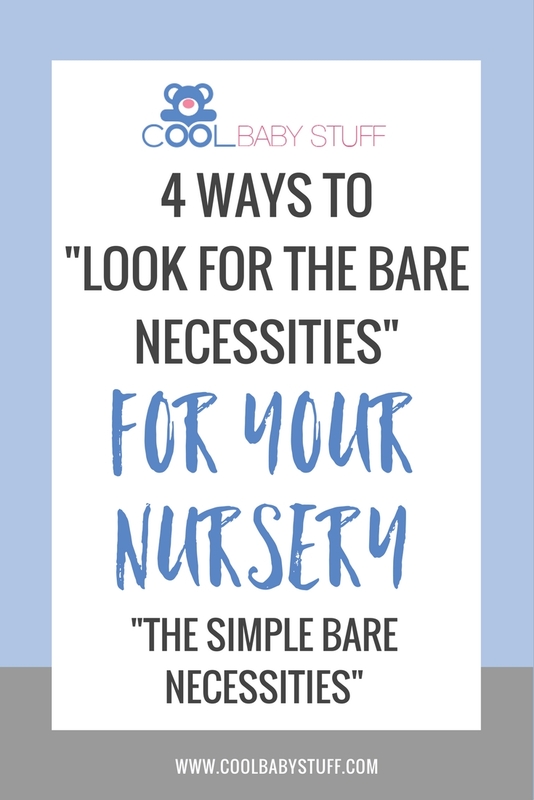 When looking for necessities for your nursery, think minimal. Minimalism is so popular right now, and that’s good news for the parents-to-be, especially when it comes to the nursery. Here’s reality: You only need a few important items to get started on the baby nursery journey. Purchase your crib, or find one on Craigslist, a group Facebook page, or at a garage sale. Make sure the crib complies with current safety standards. Purchase a new mattress, mattress protectors (2), and sheets (2-4). Make sure the mattress fits your crib very tightly, leaving no room for the baby to wiggle into a corner. Register for or purchase 2-3 receiving blankets. The hospital usually provides at least one, made of soft cotton. 2-4 infant gowns; 4-6 bodysuits or one-piece pajamas. You want to have something that’s easy to get baby into and out of without contorting his or her sleeping body. Think 1:00 a.m. feeding and changing efficiency. Honestly, frills and overalls just don’t work well for newborns; they may be fun, and you may want Baby to wear them, but they are not necessary. If you have a small nursery space, you’ll need to read this article about how to maximize space in your nursery. Some people might prefer placing Baby on a blanket on the floor for changing time. If you think you’re one of those people, you can skip this category. If you want to save your back and knees for holding and picking up your baby, read on…. Choose a sturdy piece of furniture that stands anywhere from 36-43 inches tall. This can be a dresser, a table, or a conventional changing table. Again, the idea is to go for Baby’s safety and comfort. Include a changing mattress or pad, and make sure a safety strap affixes the pad to the table. You also want a piece of furniture that allows for storage and reach of diapers and wipes. Consumer Reports provides a nice, brief explanation for what to consider in a changing table. Finally, think about the type of container that will keep the odors of messy diapers at bay. Again, you don’t necessarily need an expensive diaper storage solution. For clothes, use a closet or a small chest of drawers or shelf. If you’re a minimalist, you really don’t need both right now, but feel no guilt if you want both. For a few toys, blankets, and gifts, choose a couple of interesting baskets. That’s all you need. It’s the middle of the night and time to feed your little one. You want a comfortable place to sit and feed your baby so both of you can go back to sleep. You might already own a comfortable recliner or rocking chair. If so, there’s no need to purchase one; just move what you have into the baby’s room. If you need to purchase something, make sure it fits your body well so that both baby and you can find comfort with little disruption. For example, I am only 5’1,” so I need a chair that sits low enough for my feet to touch the floor. The chair arms also need to feel comfortable so I can rest my elbows while holding Baby’s head. Translated: None of those deep chairs for me! You might also want to consider a small side table or night stand for holding the baby’s bottle or your own water while you nurse. And although you’re tempted to check social media, it’s best to keep the light from your phone at a minimum. That’s it! 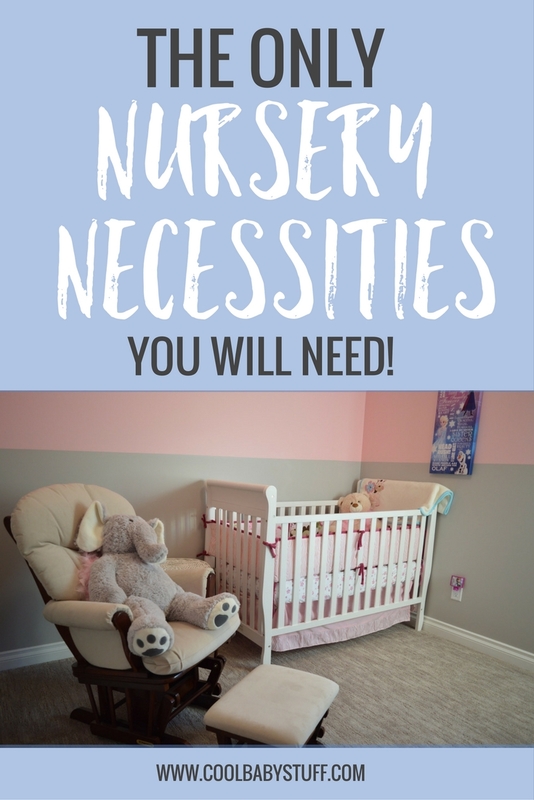 Those are the only necessities for your nursery you will need. While you’ll be tempted to succumb to Pinterest hype and retail fever for Baby’s nursery, you really need just a few basic items. And Baby needs fewer still — your loving arms and patient care.